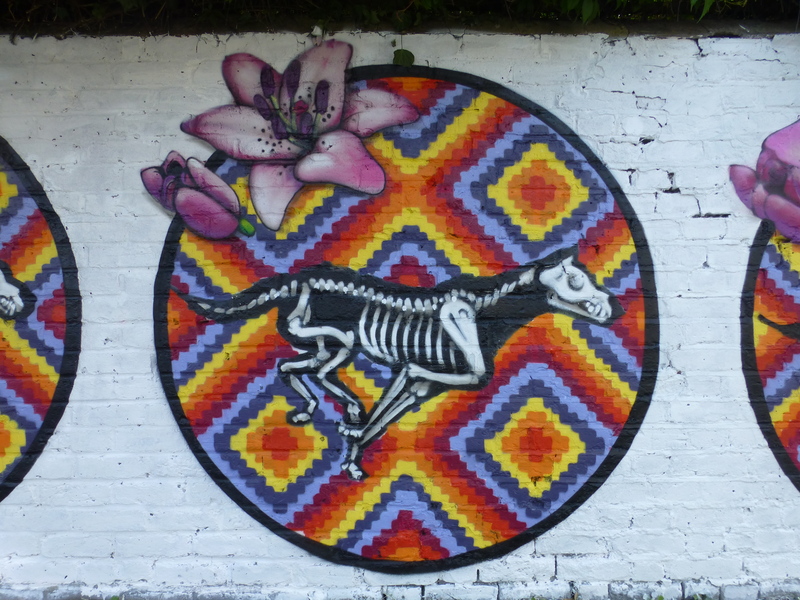 Last weekend Brockley’s first Street Art Festival, in conjunction with the annual Brockley Max Festival, concluded, and in the process really left its mark on the area. 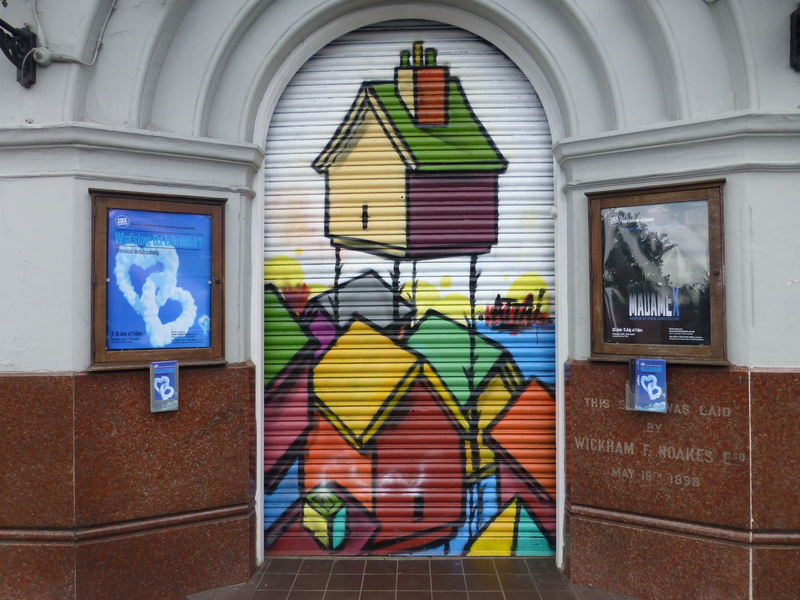 Brockley was the chosen destination following a competition across all the boroughs of London put on by Londonist in order to be the host of a brand new wave of Street Art in the area. 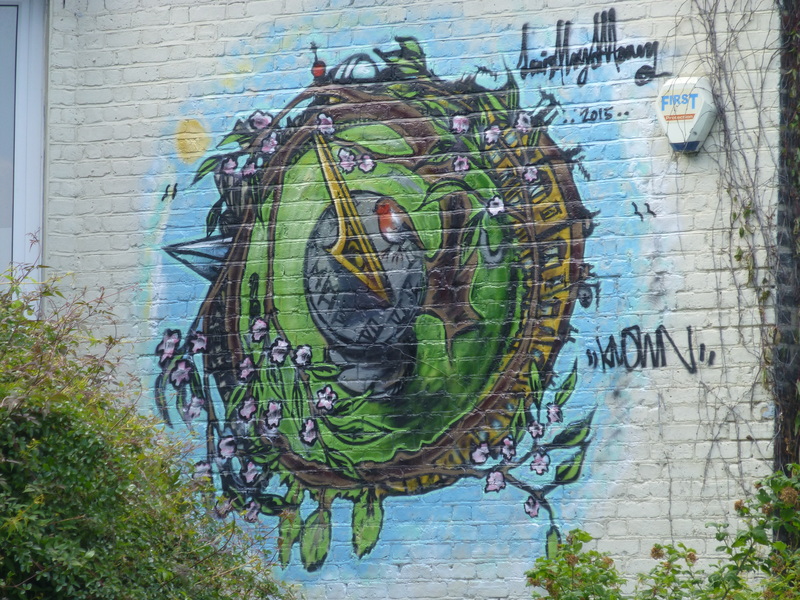 The Brockley Street Art Festival ran from 29th May to 7th June, with some artists painting over several days, and someone painting somewhere on every day of the festival, ensuring something to be seen. Zara Gaze at work on her piece. As is the case in near by Dulwich, where you can find the majority of works along the main road running through the area, but with the addition of some little gems requiring a diversion or two, the same can be said of Brockley, with the majority of works running from Brockley Cross (just along from Brockley Station) and runs down along Brockley Road to Honor Oak Station. So while we have laid out the works in order so you can follow as a walk, you can start from either end and still end up on the same train line if visiting. 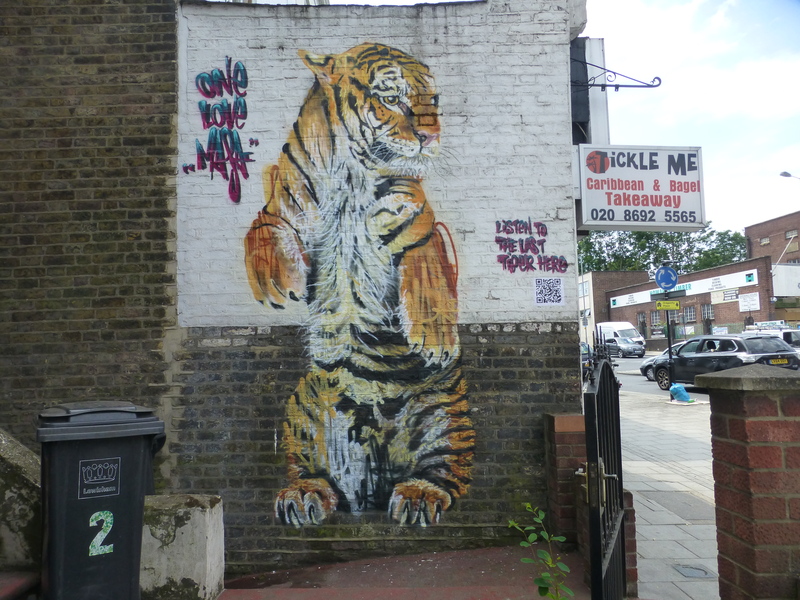 You can also use this detailed map of all the Street Art locations from the www.brockleystreetart.com. 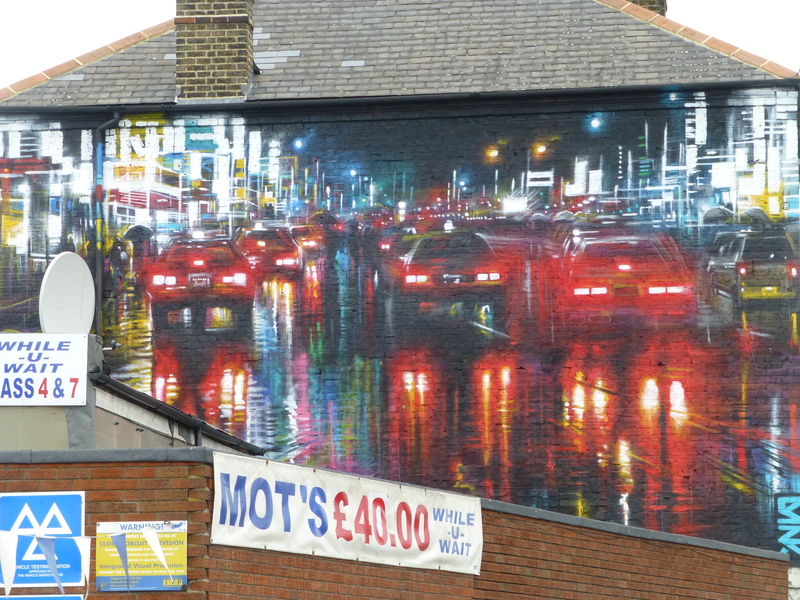 Dan Kitchener at work on his large work. 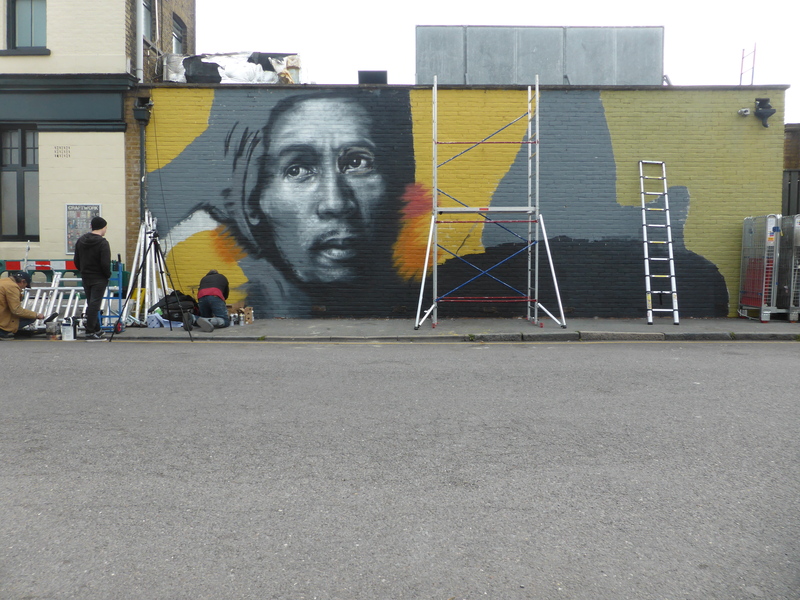 Work-in-progress from Dale Grimshaw, which was put up as part of the Bring Back Bob campaign, which was focused on replacing a large mural of Bob Marley which was located opposite this wonderful piece but was lost to recent redevelopment works. 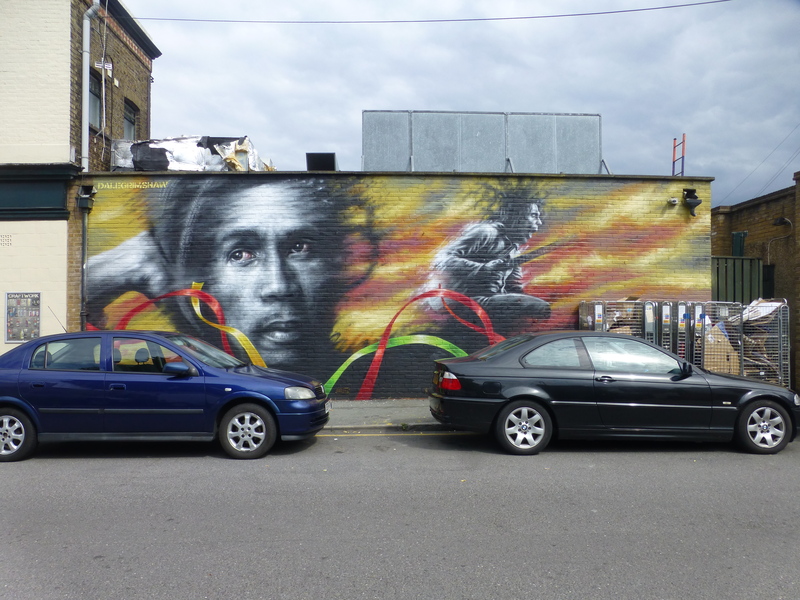 Following a successful Kickstarter campaign, Dale Grimshaw was commissioned to create the new Bob Marley mural on the premises of the Brockley Barge pub and certainly left his mark with the stand out work from the festival in the process. 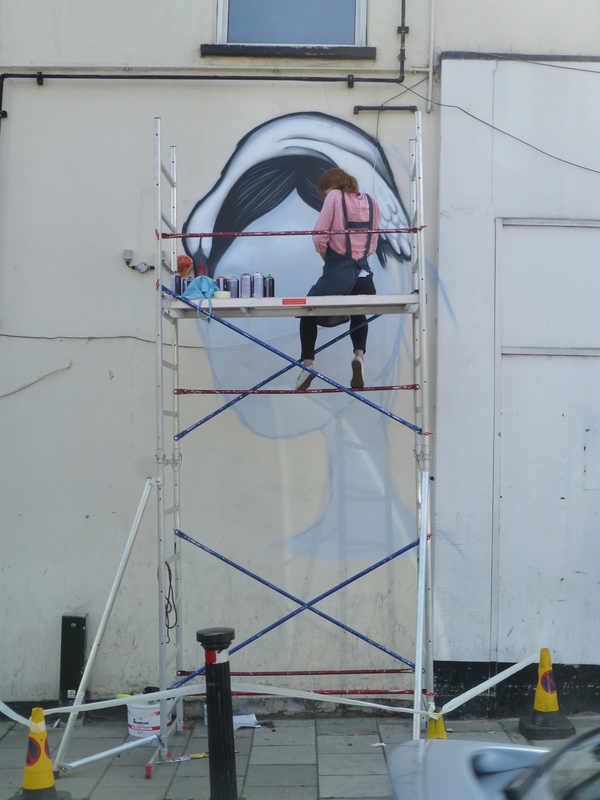 Local artist Mimi Soan at work. 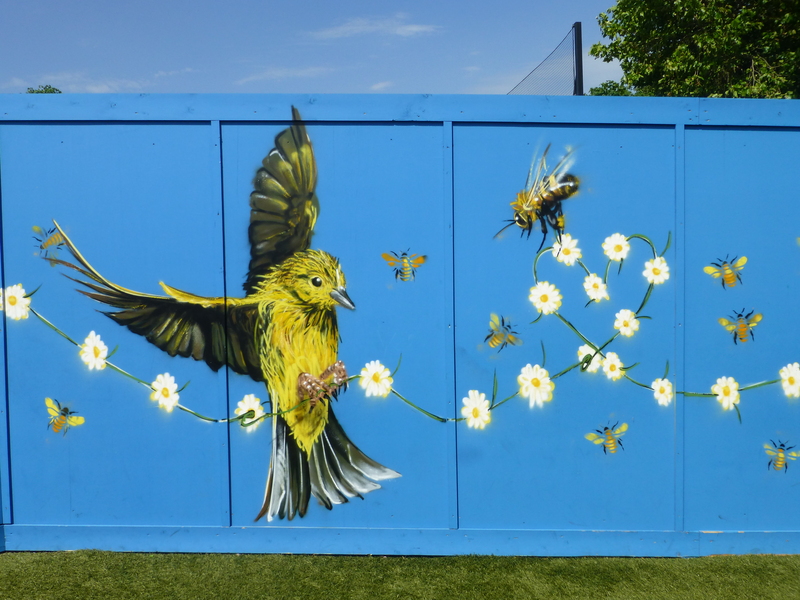 The first of 2 Louis Masai works for the Festival in Brockley Cross. 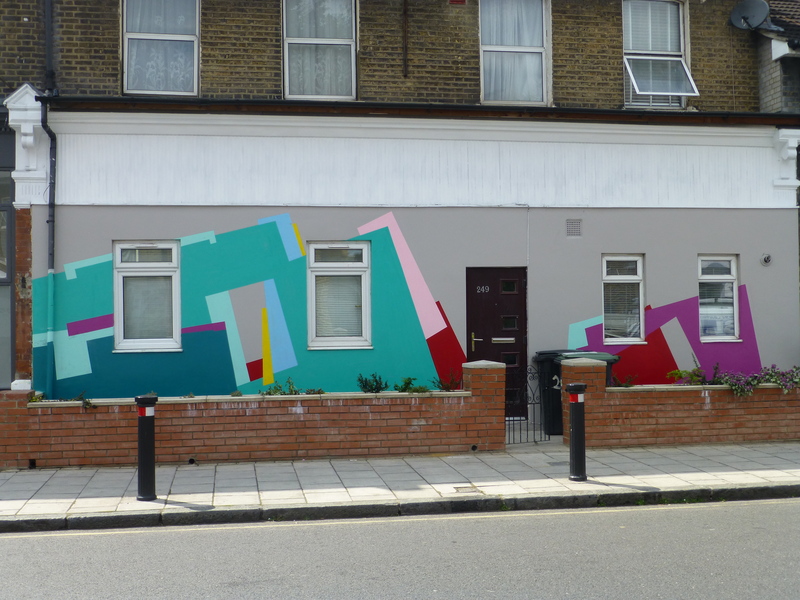 Work from Nuria in Maplas Road. 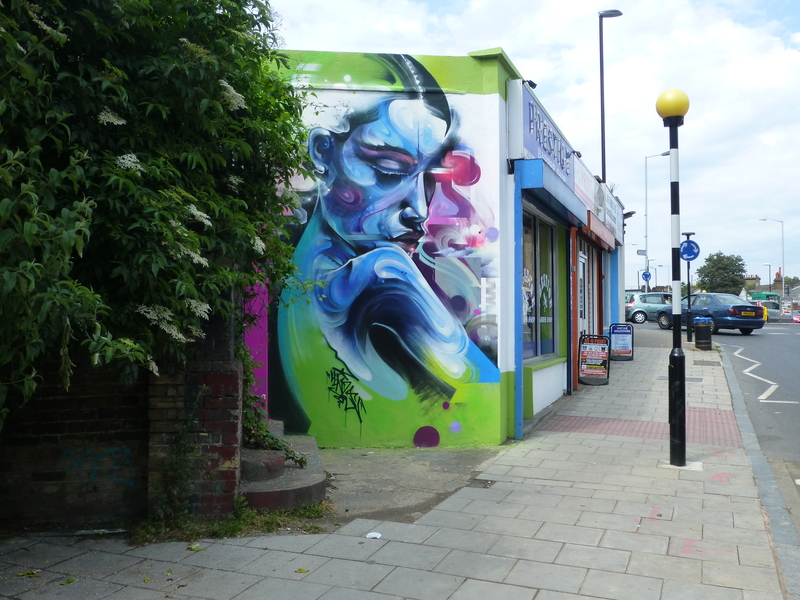 Striking work from Mr Cenz on Brockley Cross. 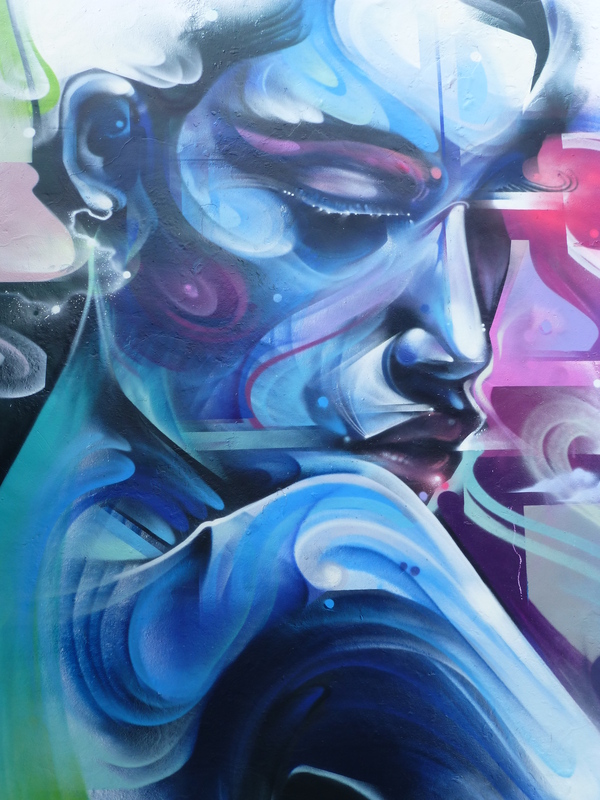 Detail of Mr Cenz’s piece. 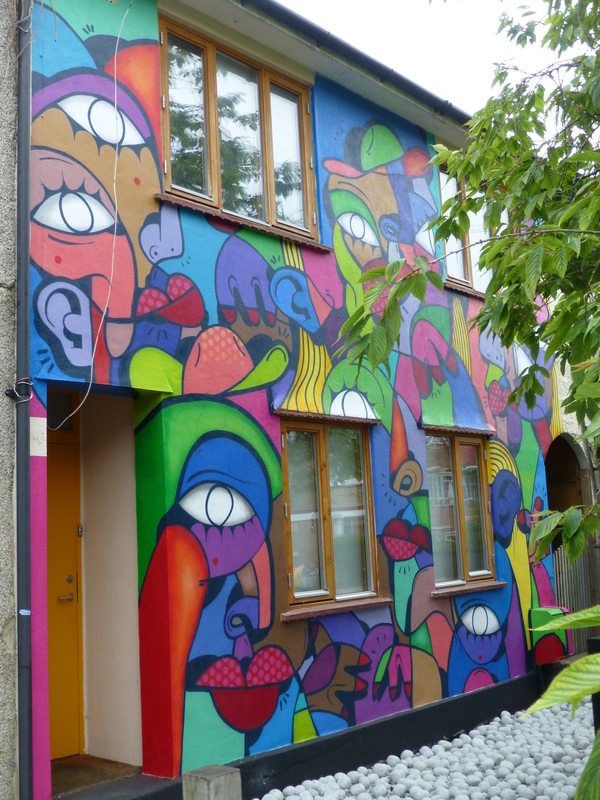 An entire house-front decorated by Hunto in Arica Road. 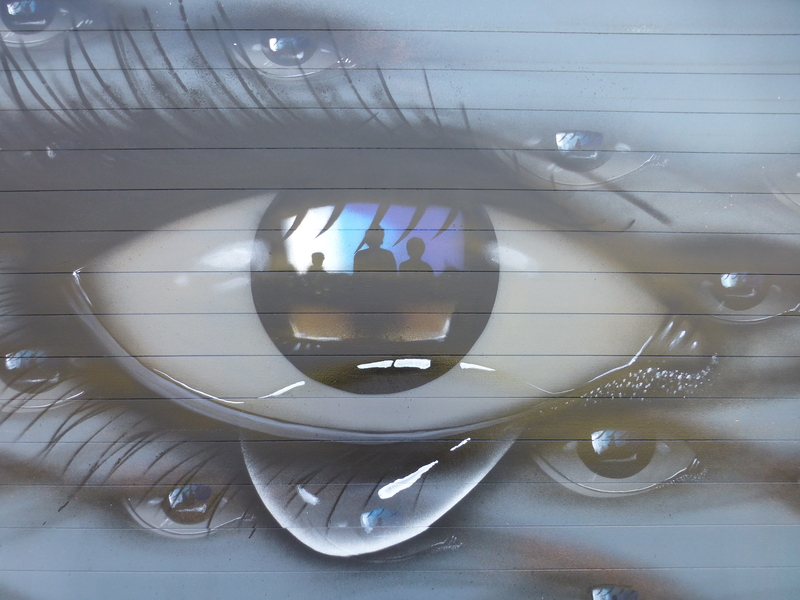 Work by INSA in Avignon Road. 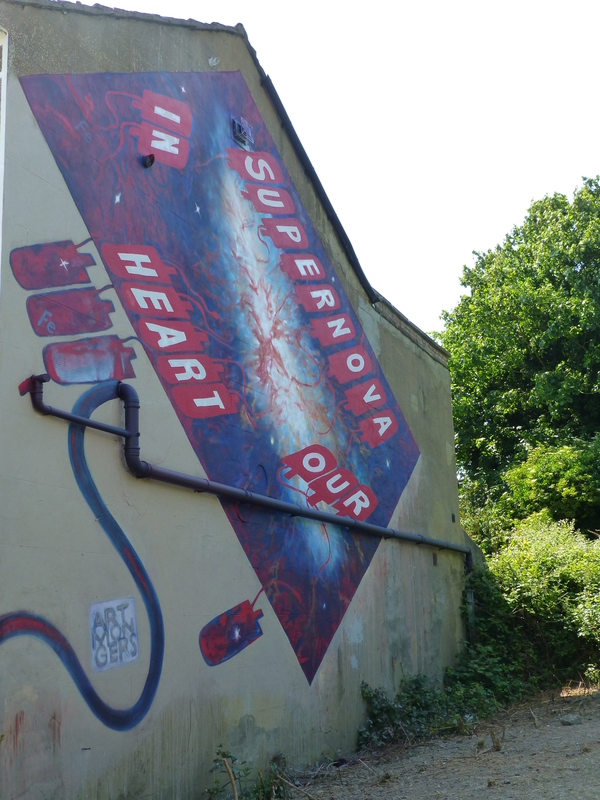 Work by Known in Avignon Road. 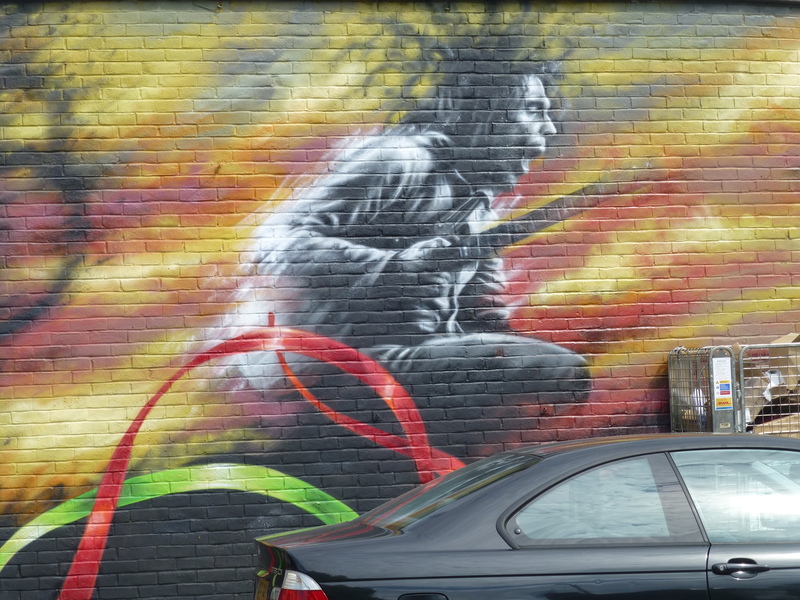 Incredible work from Dale Grimshaw on Brockley Road. 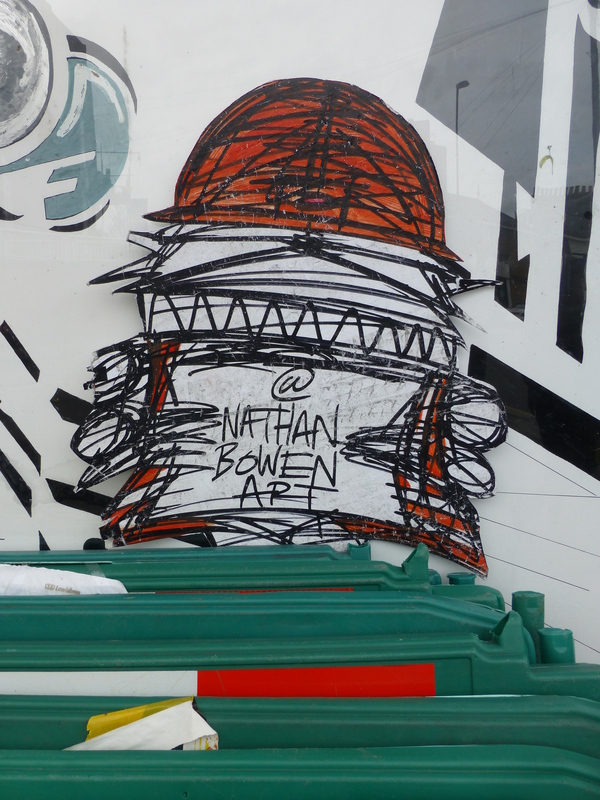 One of the cardboard throw-ups from Nathan Bowen placed up around the key festival sites. 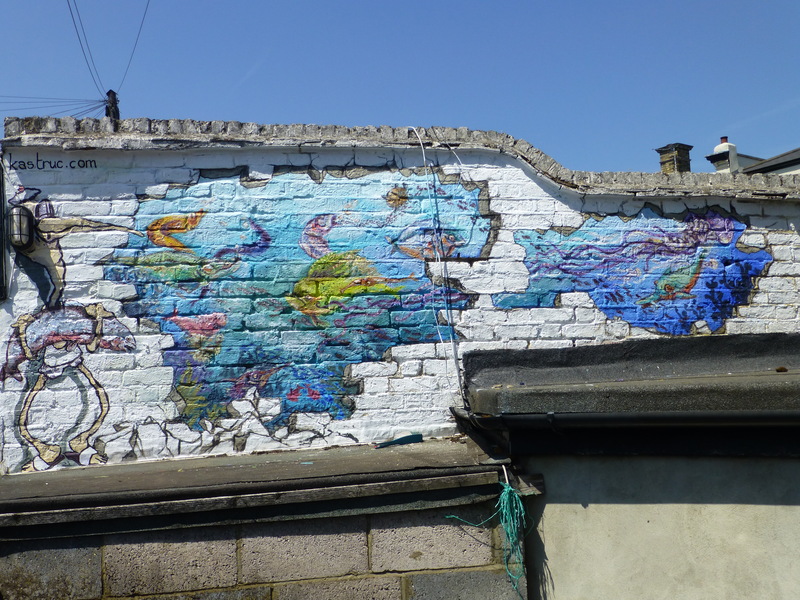 Work from Claire Astruc on Coulgate Street. 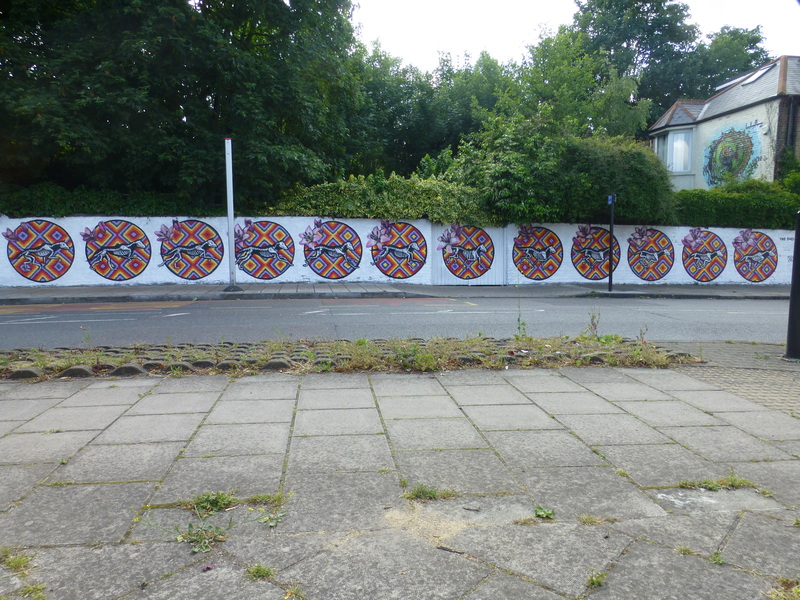 Work from Patricio Forrester aka Artmongers on Kneller Road. 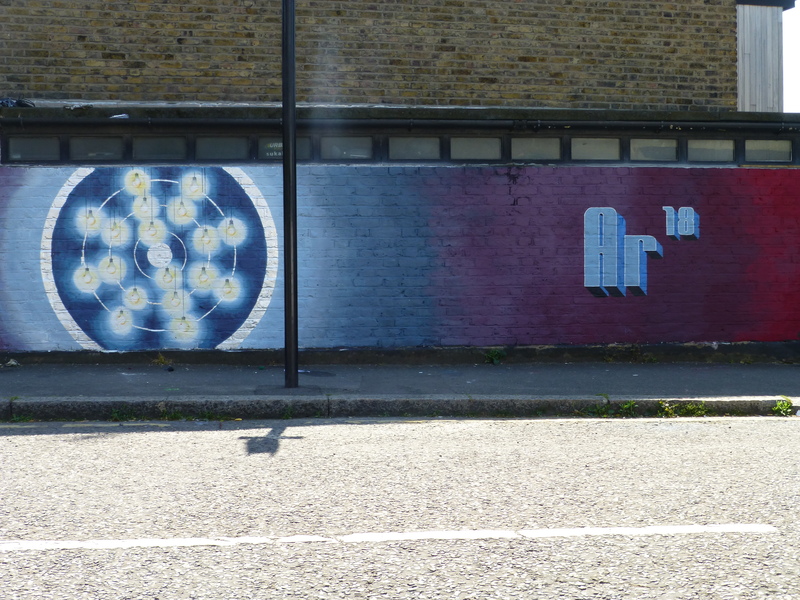 This was 1 of 2 works funded by the Royal Society of Chemistry. 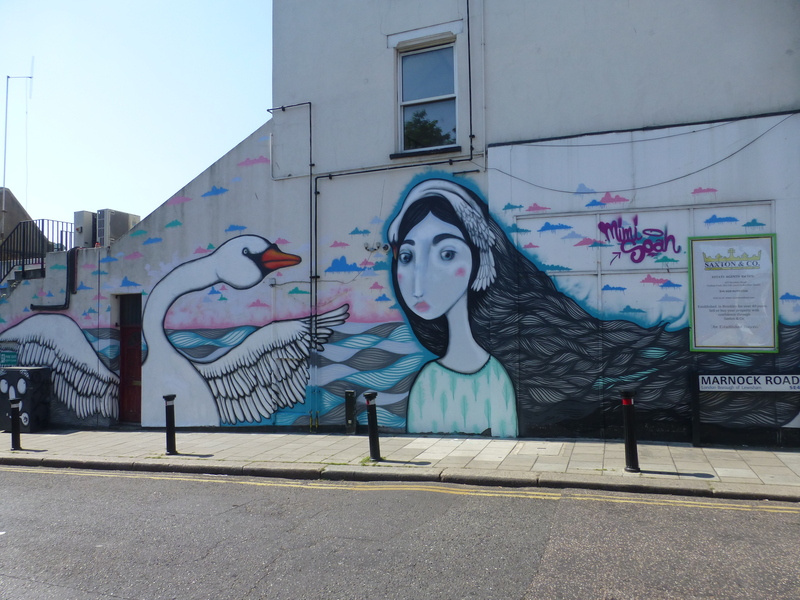 Work from Zara Gaze on Arabin Road. This was 1 of 2 works funded by the Royal Society of Chemistry. 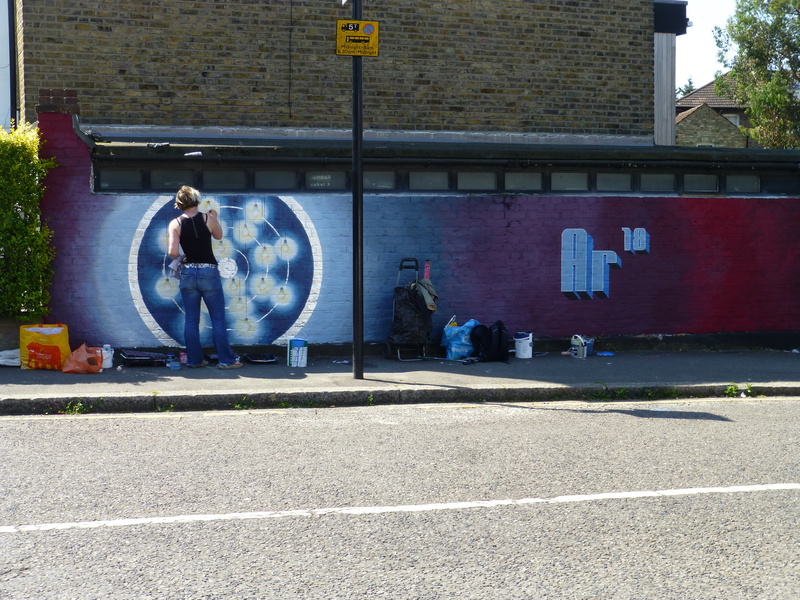 Local artist Mimi Soan’s first work for the festival on Brockley Road. 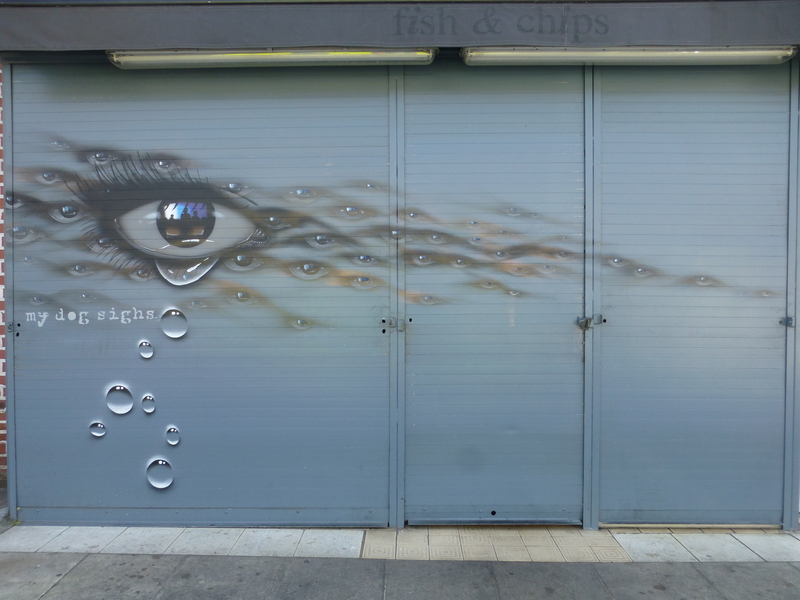 Some superb shutter work from My Dog Sighs on Brockley Road. 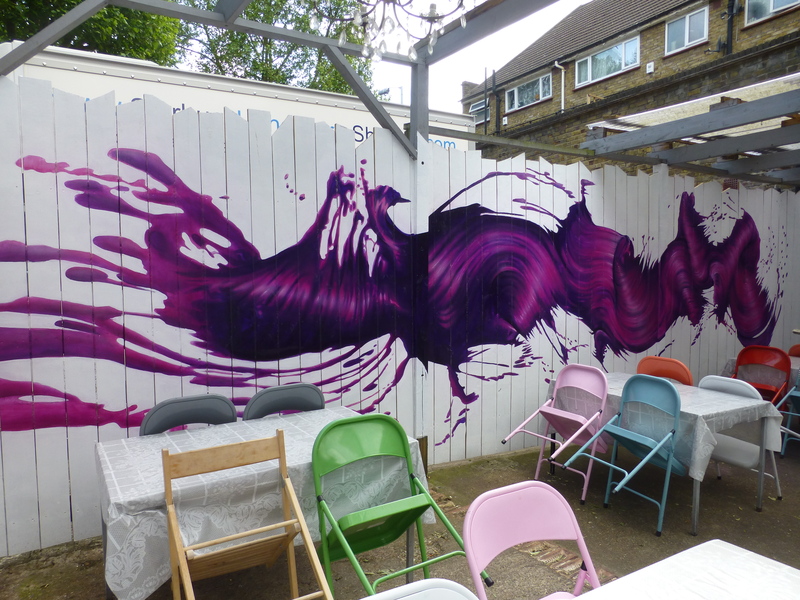 Work by bAMBOpINK in the The Brockley Mess garden on Brockley Road. 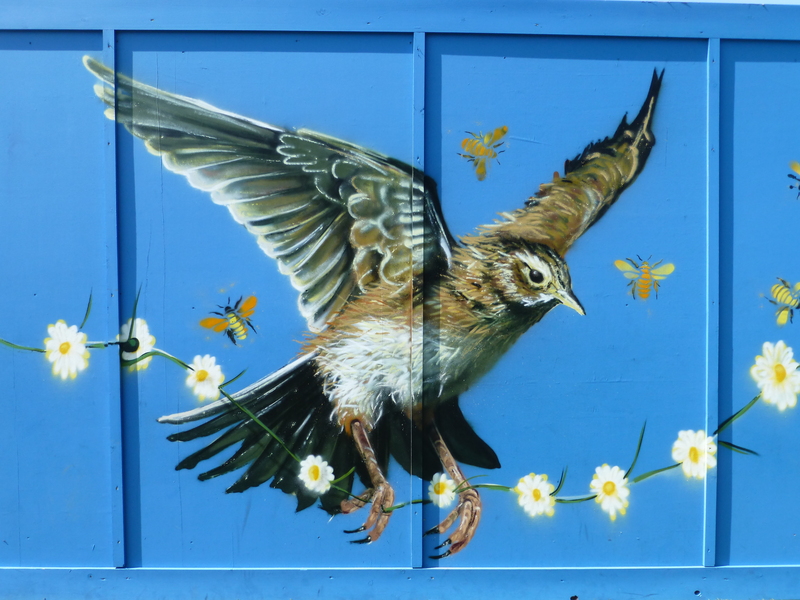 Work by local artist Mimi Soan on Marnock Road, her second of the festival. 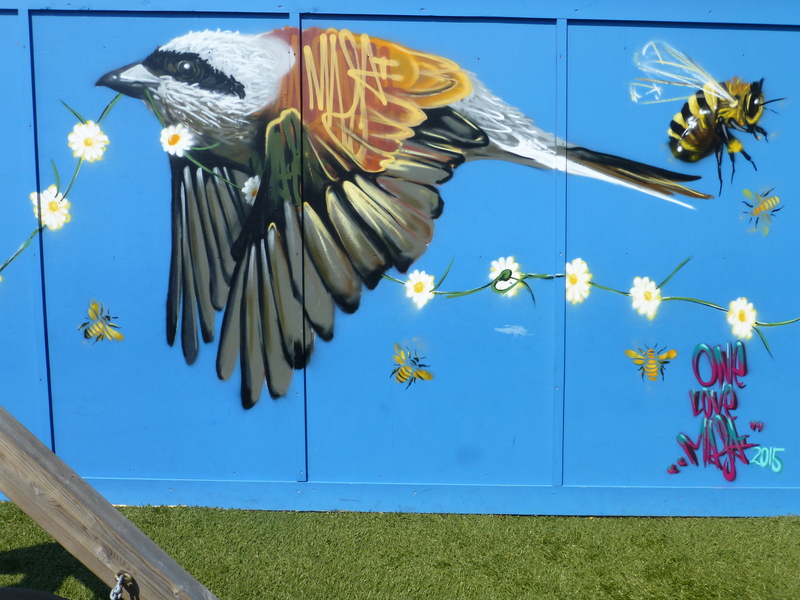 Delightful work from Louis Masai, with a little help from the pupils of Beecroft School. Red Backed Shirke and some accompanying Bees in this section. 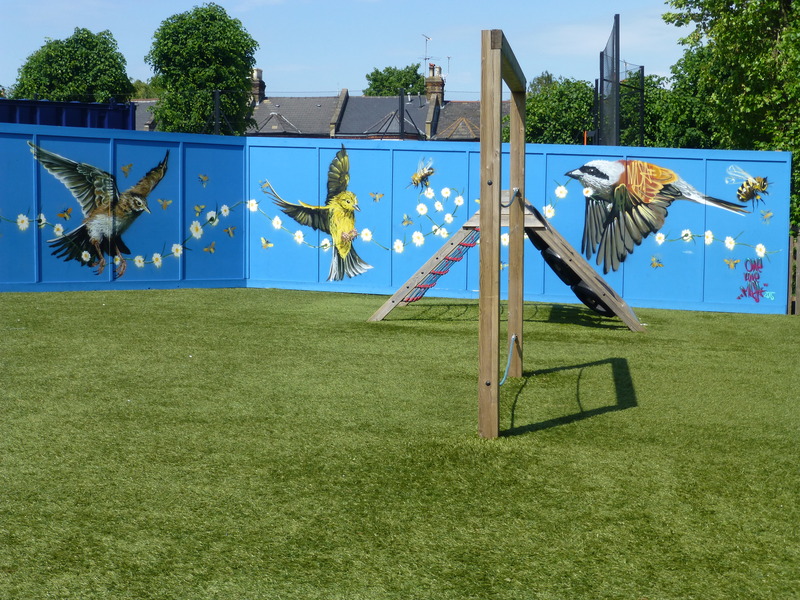 Yellow Hammerhead accompanied by Bees from Louis Masai and local pupils. Stunning work of a Eurasian Skylark. 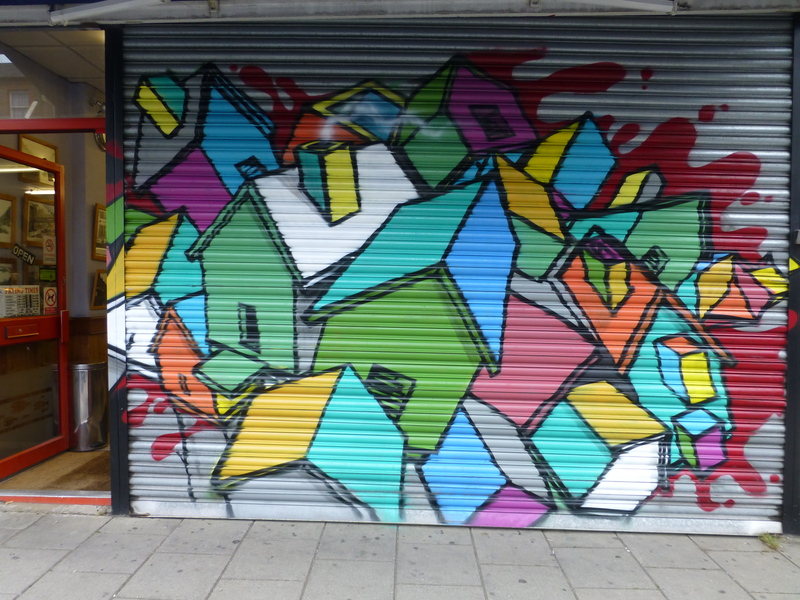 The first of 2 works from Attai, this one being on Brockley Road. 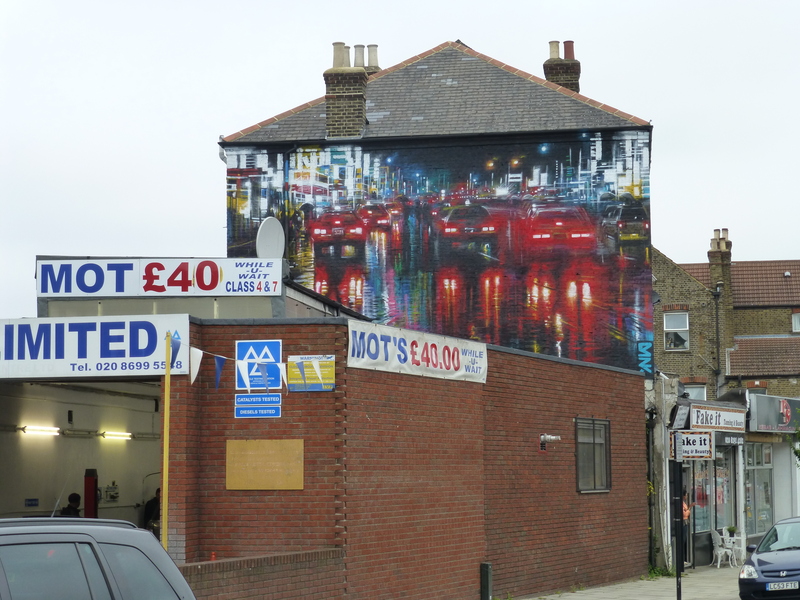 Stunning large-scale ‘Liquid Lights’ work from Dan Kitchener at Brockley Rise. 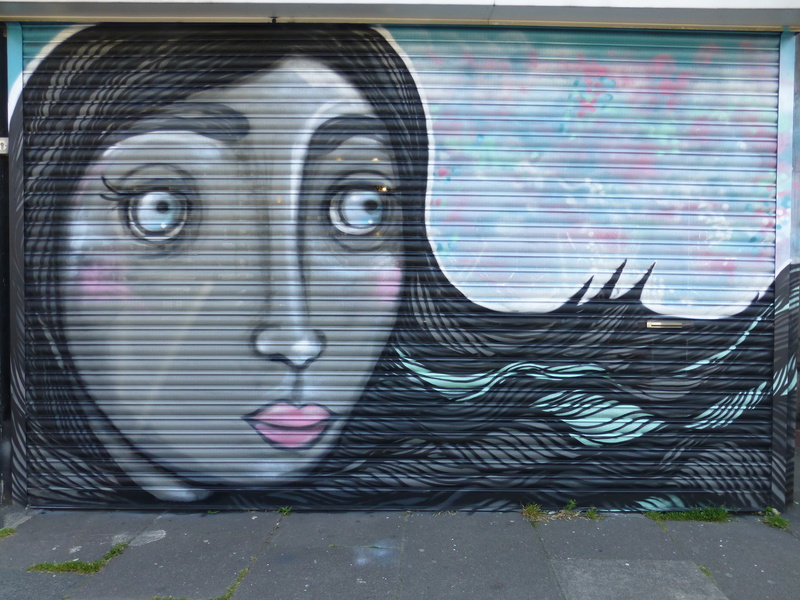 The second shutter work from Attai in Honor Oak Park. deserve high praise for their contribution to this community. I am taking pictures back to Canada to show to many friends. A brilliant idea and very worthwhile project. 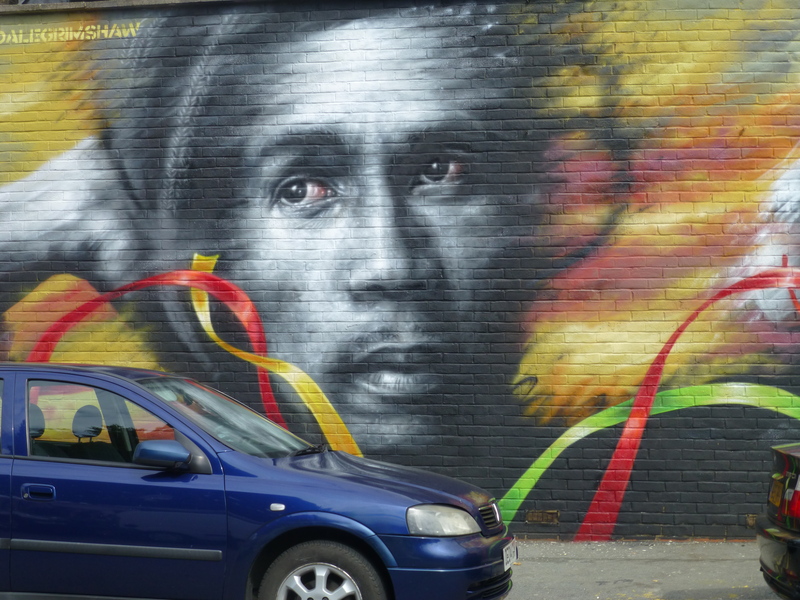 Some are cool but Arabin road has been spoilt we don’t like to colours and find it an eyesore, what’s with everywhere having graffiti and calling it street art? For those just discovering Brockley please don’t move here and spoil it, lived here over 20 years. Let’s hope the local youth don’t go around thinking this is an invitation to spray random walls on the street or ruin some of the “art”. Very glad you enjoyed newartrioter, Joan & David, i agree it is a very impressive range of art that has been created and a worthwhile project indeed. As for Trace, we all hope this doesn’t become an excuse for, as you put it, the local youth to go around spraying random walls. However I was in attendance during the festival and saw many members of the local populace stopping to comment positively towards the artists in question whilst placing up their works. 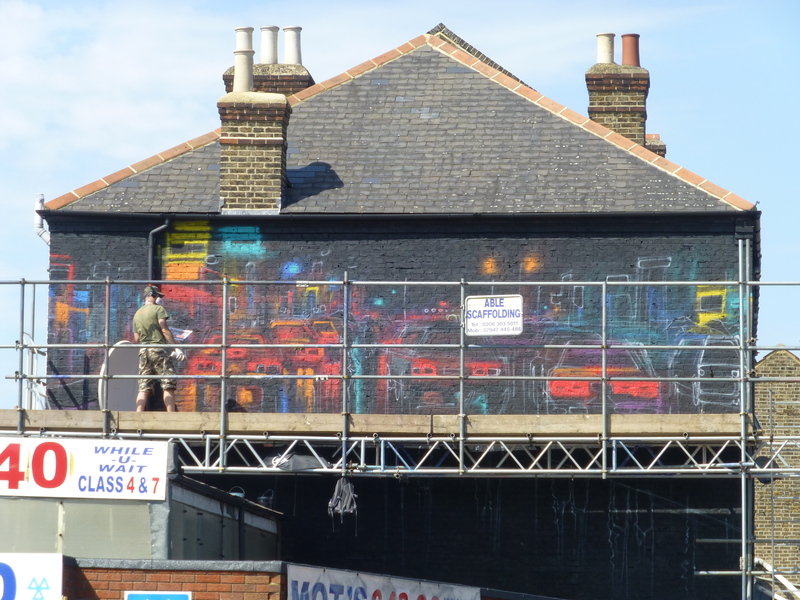 Also the festival provided a chance for Brockley’s own Mimi Soan to get some exposure in the art world.